Our dedicated inside sales representatives support the clients’ sales teams by filtering, nurturing, warming up and qualifying cold leads. This is done by executing lead nurturing campaigns on cold lead database. This includes email marketing, tele-marketing and in some cases account profiling and contact discovery services too. 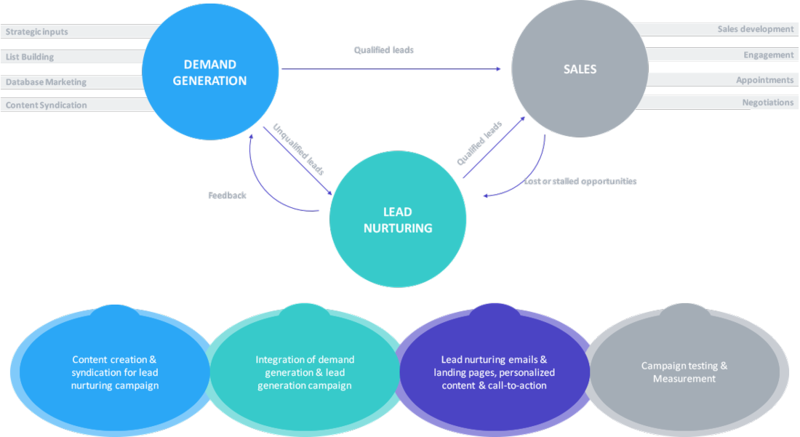 The leads so warmed up are transferred to the lead generation team or the sales team based on the lead score. Through strong communication and rapport-building capabilities of the Anosales lead generation team, we are able to significantly shorten the sales cycle for our clients.